With only Goku, Vegeta, Frieza, Gohan & Android 17 being the only ones left to defend Universe 7’s existence against Universe 11. We already know that Goku, although with his new Ultra form, was unable to hold his own against Jiren, but his will & hunger to defeat stronger fighters than himself is what pushed him to step up& go toe-to-toe with Jiren again. Unlike the last batthe between the two warriors Jiren seems to be way more interested in understanding what drives Goku than he was before. It’s clear that Goku has proven himself somewhat to spark Jiren’s interest in him. However, before the official match could start between Goku & Jiren, the lack of patience mixed with burning pride kicked in & Vegeta decided to step in & take Goku’s place against Jiren. At first, the match seemed one-sided, with Vegeta being tossed around like a rag doll, but he soon displayed his fighting prowess when he was able to see through Jiren’s fighting style & hit him with a surprising blow. Not only did this shock Goku, who was barely able to do this in his Ultra for, but it definitely shocked Jiren, who displayed awe & disgust for being hit by Vegeta. The beat down from Vegeta didn’t last long, because Jiren, who is less stronger & faster than he was when he fought Goku, decided to step it up a notch & started attacking Vegeta with some devastating combos & powerful energy blasts. It got to a point where Jiren didn’t let Vegeta’s body recover from any of his attacks before landing another. But as Whis pointed out, Vegeta isn’t attacking Jiren for the hell of it. In fact, Vegeta is pushing himself to achieve the ultra form that Goku reached. This episode did a good job at dividing the screen time between all of the remaining fighters. Although it was short, we got to see Frieza fighting Dyspo, who was seemingly making light work out of Frieza & Toppo brushing off Gohan’s Kamehameha & 17’s attacks. We have still yet to see Gohan & 17’s max power, & we know that Frieza isn’t going out like that against Toppo, especially since he wants to live again, so it’s a guarantee that we will be seeing some amazing & possibly breathtaking battles ahead. 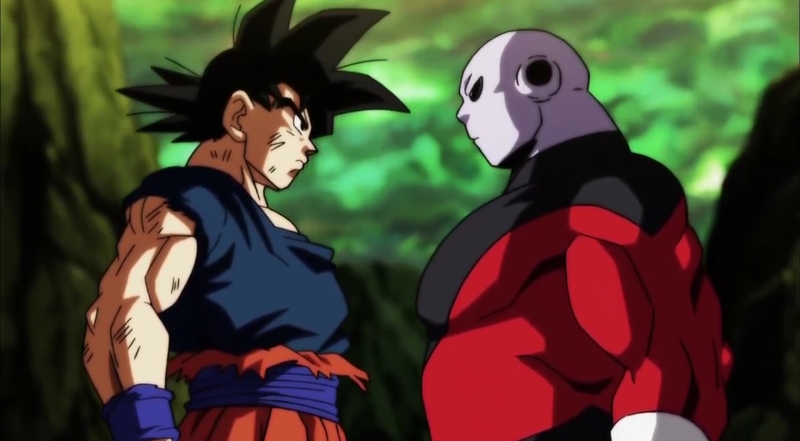 Vegeta’s battle between Jiren was undoubtedly the highlight of this episode. Even though he didn’t win against Jiren, seeing his pride & power elevate against a stronger opponent than himself is what really made this episode one of the best episode we’ve received from this tournament. I mean, we’ve seen Vegeta go wild in a fight numerous times throughout Z & Super, Vegeta’s outburst here seemed more calm & calculated, which pushed his character to a new & interesting new level. Vegeta has definitely become more of fan-favorite than Goku has in Dragon Ball Super. Some ight say it started when he went off on Beerus for slapping Bulma while others might say it was when he was fighting Goku Black in the previous arc. Nevertheless, I believe we can all agree that Vegeta has a lot more eyes on his character than he did a few arcs ago. This episode was overall great & is without a doubt one that rivals Goku’s initial ultra transformation. I am still going to say that Jiren will be beaten by Goku & Vegeta fusing into Vegeto, but we will see.